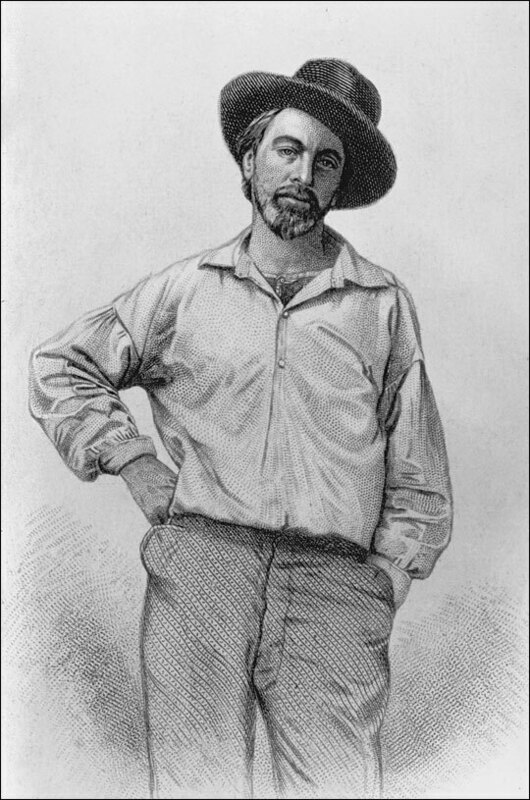 This 1854 steel engraving portrait of Walt Whitman appeared in several editions of Leaves of Grass. Listen to Diane Ackerman discuss her book An Alchemy of Mind: The Marvel and Mystery of the Brain. When I first read Walt Whitman's Leaves of Grass in college, I knew I had found a soul mate. Long before the discovery of black holes, he wrote: "The bright suns I see, and the dark suns I cannot see, are in their place." Whitman was the first American poet that the Universe didn't scare. Voluptuously in love with life, he believed a poet's duty was to change people's lives, by throwing a bucketful of light onto the commonest things. I felt those same instincts and still do. Because there was a new breed of American surfacing in the fast waters of the 19th century, Whitman decided to invent a radically new poetry, by translating the revved up mosaic of the daily newspaper into a poetry full of street talk, everyday events, and long lists. A poetry so aggressively intimate that buttonholes the reader, cries with the reader, woos the reader. A poetry written in a breathless, ecstatic style. A poetry that celebrates the human body in frank sexual detail. A poetry that drastically changed the idiom of poetry by bringing into it all sorts of gorgeous untraditional things like Egyptology, carpentry, opera, Hindu epics — the whole big buzzing confusion of life, which he describes as: "life immense in passion, pulse and power." He really only wrote one poem. It was the great poem of being, the epic of life in America, in the solar system, in the Milky Way, in the infinite reaches of space. He began with a microscopic eye focused on the beauty of the lowliest miracle, say, a leaf of grass, and then stretched his mental eye out to the beauty of the farthest nebulae. 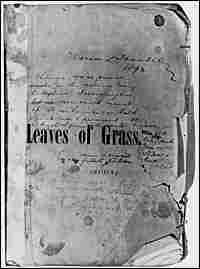 In Leaves of Grass, Whitman's portrait of America is sense-luscious and unnervingly complex, but he also saw it whole, as one democratic fabric, and proclaimed its common men and women to have lives of sparkling beauty and dignity, where, as he wrote: "a great personal deed has room." And he believed that perfecting his own life was essential to perfecting his art. Indeed, he became the embodiment of the nineteenth century's ideal, the "self-made man," and was self-reliant, robust, obsessed with the physical. 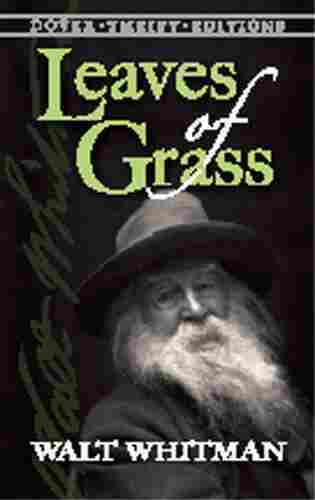 Leaves of Grass is, among other things, a journey of self-discovery whose message is that you can change your personality, change your fate, invent the self you want. "I bequeath myself to the dirt," he wrote, "to grow from the grass I love/If you want to find me again look for me under your bootsoles." He taught people a way of beholding nature which is itself a form of prayer. Whitman reminds us that the world is simply unknowable from just one perspective. I read Leaves of Grass as a sacred American text about the essential goodness and perfectibility of people, the sanctity of the common man, the holiness of the human body viewed naked and up close, the privilege of democracy, the need to forge one's own destiny, and the duty of all to discover the world anew, by living in a state of rampant amazement at the endless pocket-size miracles one encounters every day. As Whitman writes: "A mouse is miracle enough to stagger sextillions of infidels." I read it as a reminder what grace it is just to be born and live, and that we, too, are natural wonders. 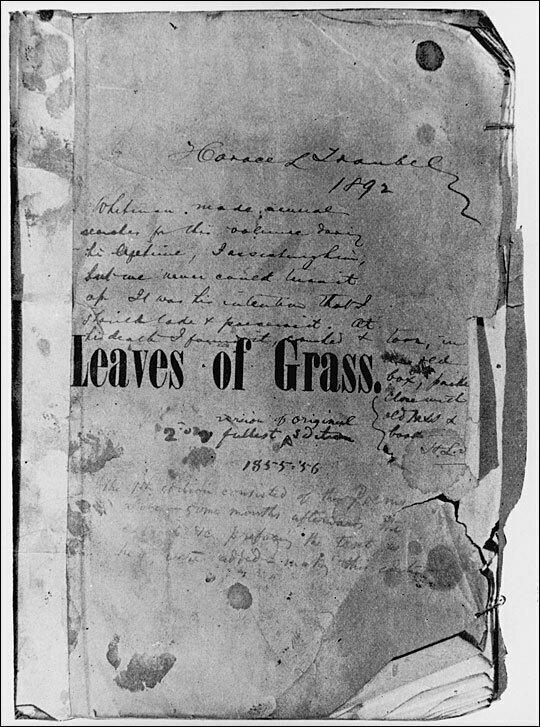 The cover of Walt Whitman's personal copy of the first edition of his 1855 collection, Leaves of Grass. Audio recording of Song of Myself from Walt Whitman's Leaves of Grass, Volume Two read by Ed Begley and published by Cademon.